Indie Retro News: Donkey Kong - Atari 8-bit Arcade HACK & Atari 5200 conversion updated! Donkey Kong - Atari 8-bit Arcade HACK & Atari 5200 conversion updated! 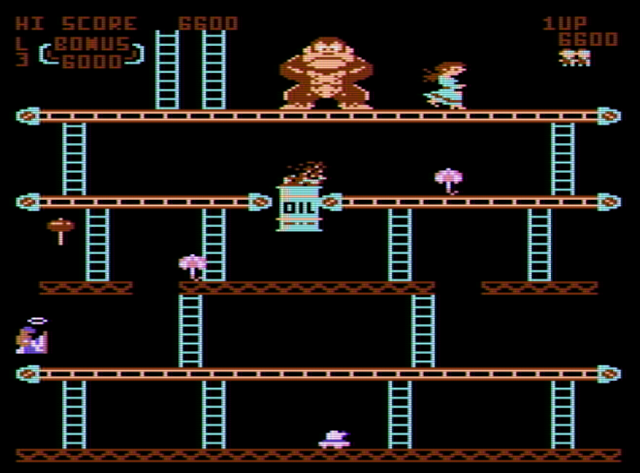 Not long ago we mentioned Darryl1970's Atari 8-bit Arcade hack and Atari 5200 conversion of Nintendo's 1981 original classic ' Donkey Kong ', in which you played as Mario that must avoid obstacles across a number of platforms, with sometimes a hammer in hand to save a damsel in distress from a giant ape called Donkey Kong. 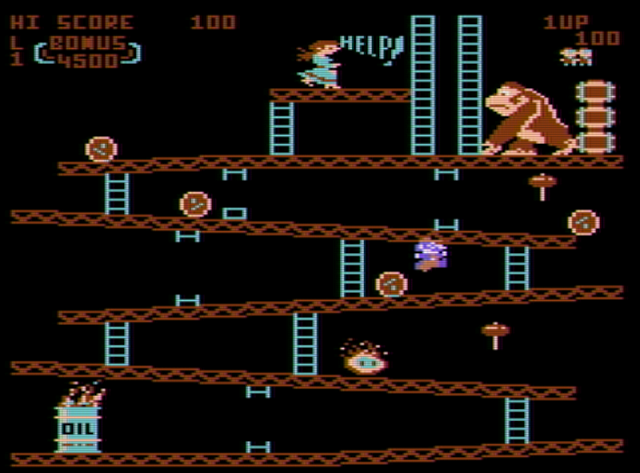 Both versions were tweaked and enhanced including colour changes of the original classic. But just last month Darryl released the latest 7.4 version with even more improvements. If you're concerned about the improvements don't be, as the latest 7.4 version looks to be the best yet, even if it could be the last version we will see for some time. According to the developer he has switched the colours from 7.2, tweaked the brightness of some of the colours, retained previous graphical tweaks, new ramp girders and much more. So far many of the comments from people that have played have said it either looks GREAT, or as one person puts it, " I gotta say I really love what's been done to this game! It is sooooo much more enjoyable to play! "